Обязанности: - Founded an investment boutique aimed at serving wealthy individuals and corporatee customers. Specialization: wealth management, investment brokerage services (target: private small capitalization companies). Closed 2 deals in 2014. Достижения: - Led Corporate Dev projects in Russia/CIS and launched MS business line in the region. In 2004 founded the company from scratch with only 3K USD on hand; made business profitable in 2006; sold in 2009 50% and in 2012 100% of my share to partners. On different stages of development of business carried out various roles: CEO/CFO of a number of companies in the Group, BDD, Product Director. Clients: NOKIA, Imperial Tobacco, Kent, RBC, Rostra, RMG, Metalloinvest, Sela. Partners: IBM, Microsoft, Symantec, RedHat, Zend, Kaspersky. ИЩУ РАЗРАБОТЧИКА .NET для реализации долговременного проекта на удаленной основе. Специализация и профессиональные навыки: Managing Partner at PSI Capital Group, Investment Director at CIS Business Angels Network, Venture Partner at HaxAsia, Singapore. Entrepreneur and innovator with pure technological approach to business development. 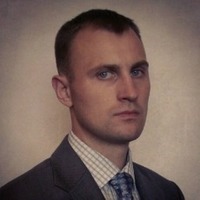 Ex Managing Director at Experian Marketing Services Russia& CIS. Quirky controversialist. Nonpro boxer and golfer. Высококлассный профессионал и дальновидный менеджер, не боящийся смелых экспериментов.